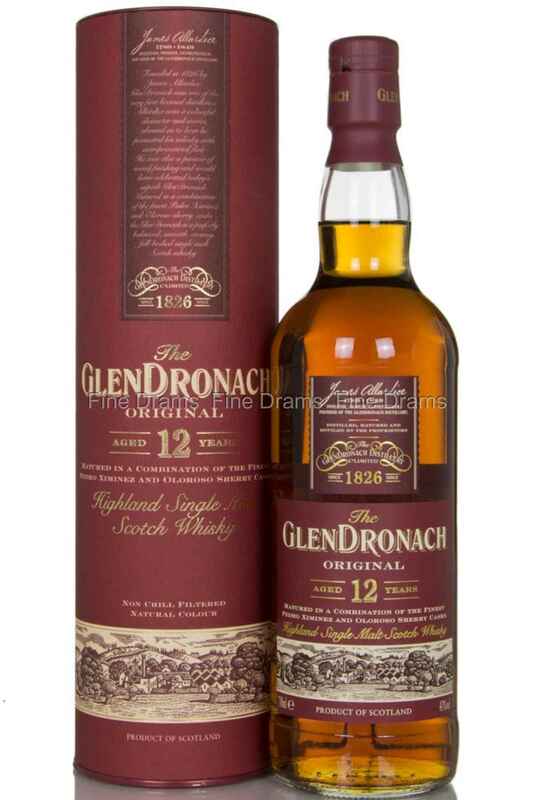 Perhaps the flagship whisky from this distillery, which sits just on the border of the Speyside and Highland regions. A classic sherried offering, this whisky is perfectly balanced between Pedro Ximénez and Oloroso characters, with the former offering notes of sweet, syrupy raisins, and the latter nuttier, slightly leathery flavours of chocolate and coffee. At 12 years old, this dram has a superb maturity and complexity, benefitting from being bottled without chill filtration or artificial colouration, despite being 43% ABV. A terrific whisky from one of our very favourite distilleries here at Fine Drams, this is one that every fan of sherried malts should try.